Myrtle Beach-Florence, SC - Accident News and Resources including car, bicycle, motorcycle and truck accidents and much more. South Carolina 31 which bypasses much of the city center. The city is also home to several mass transit bus options such as The Coast RTA and PDRTA. Bike rentals are also available for locals and tourists alike from places such as Myrtle Beach Bicycles. To get up-to-date road information, go to the South Carolina DOT site. Florence, South Carolina is the county seat of Florence County and the primary city within the Florence metropolitan area. The area forms the core of the historical "Pee Dee" region of South Carolina. The city was founded as a railroad hub and became the junction of three major railroad systems. As of 2013, the city retains its status as a major hub, both for industry and infrastructure, while establishing itself as a regional center for business, medicine, culture and finance. Myrtle Beach and Florence pedestrian accidents. If you are looking for information on a specific crash that happened in Myrtle Beach or Florence, go to the link above for the accident type you are seeking. When a loved one is killed in a motor-vehicle accident, it is often helpful for grieving family and friends to get help from a grief support organization. It can be comforting to talk with others going through a similar situation, and the road to recovering from the loss may go more smoothly. Go here to get information on Myrtle Beach grief support organizations and Florence grief support groups. After someone has been injured or killed in a motor-vehicle crash in Myrtle Beach or Florence, many decisions need to be made immediately and questions need to be answered. For example, how much of the medical costs will be covered by the insurance policy? How does PIP insurance help with medical bills immediately? What if the at-fault driver has no insurance? After a serious crash, it is crucial to get help from a Myrtle Beach - Florence personal injury attorney who understands the local regulations and legal standards, who knows how insurance policies work, and who can handle all aspects of an insurance claim so the injured person can focus on recovery. If someone is killed in a collision, a wrongful death attorney will launch a claim that will begin the process of financial recovery for the family members left behind. 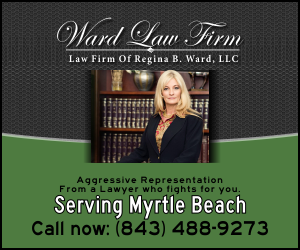 Learn more here about what a good Myrtle Beach - Florence personal injury lawyer can do to help.